Do you know of a grandpa that love The Godfather movie? If you do then this is the t-shirt to get him. This t-shirt shows the same kind of logo as movie The Godfather has but this one says Grandfather instead of Godfather. 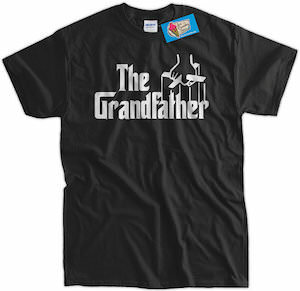 And a t-shirt that says “The Grandfather” makes a great gift for fathers day or even to surprise a grandpa to be. This t-shirt is available in a bunch of colors and in sizes Small – 6XL and all are made from 100% cotton. I am sure that any grandpa would love to be The Grandfather because their can only be one.